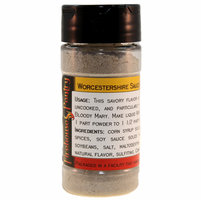 Product Details: The savory flavor of Worcestershire sauce is used in many dishes, both cooked and uncooked, particularly with beef. Use it to add umami to dry seasoning blends, snack flavorings, dips, barbecue sauces, bloody Mary cocktails, dressings, beef jerky, and marinades. No MSG (other than what may occur naturally). Shelf-stable; no refrigeration required. Vegetarian, Vegan, and Lacto-Ovi Vegetarian. 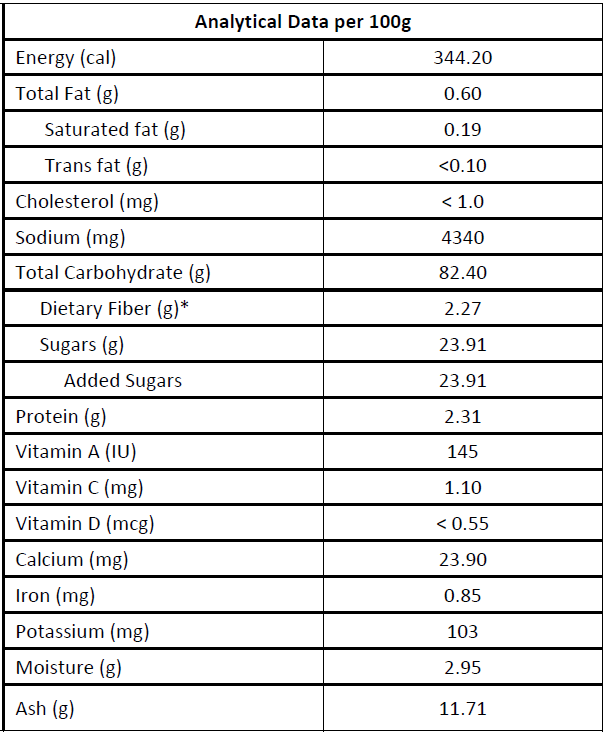 Ingredients: corn syrup solids, salt, caramel color, garlic, sugar, spices, soy sauce solids (naturally fermented from wheat and soybeans, salt, maltodextrin, caramel color), palm oil, tamarind, natural flavor, sulfiting. Contains wheat & soy. Packaged in a facility that also handles wheat, milk, soy, egg, sesame, peanuts, and tree nuts. Dry Usage: To convert a recipe that calls for liquid Worcestershire Sauce to dry, substitute 20% the amount (by weight) of Worcestershire Sauce Powder. Liquid Usage: Use this reconstitution recipe (by weight): 20% Worcestershire Sauce Powder + 30% Vinegar + 50% Water. 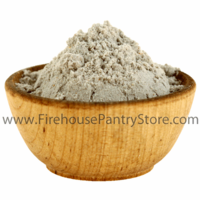 We use this in our: Mild Firehouse Bloody Mary Mix; Scary Mary Mix; Chicago Steakhouse Popcorn Seasoning; Chicago Steakhouse Steak, Burger & Chop Dust; Great Chicago Fire Steak, Burger & Chop Dust; Hot Diggity Clam Dip Mix; Blue Cheese Dip Mix; and Blue Cheese Popcorn Seasoning.